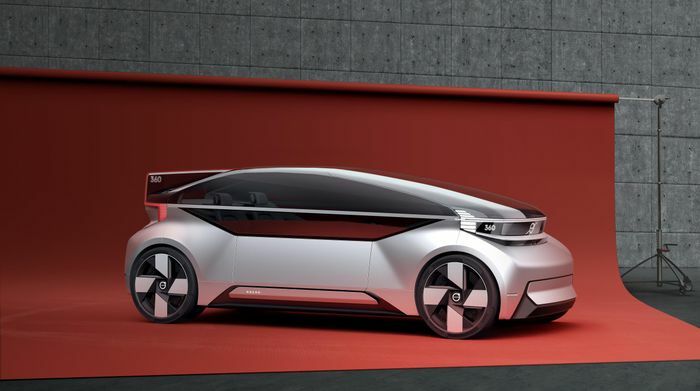 We’re used to the idea of manufacturers bringing out autonomous concepts that aim to eventually replace good old-fashioned driven cars, but Volvo has gone one step further. 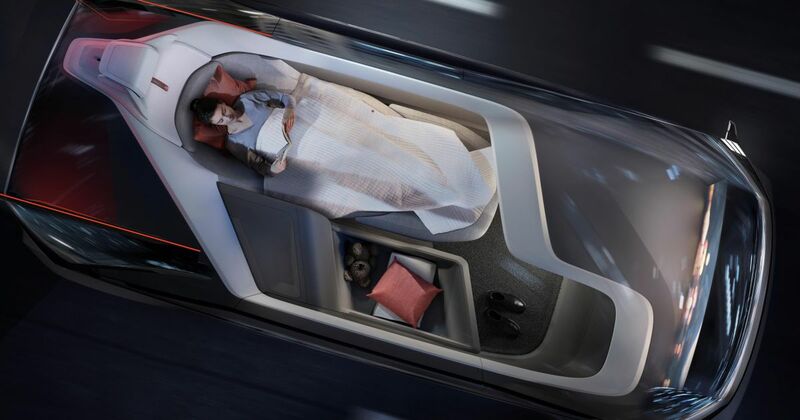 Its entry into the self-driving concept world is called the 360c, and it wants to have a pop at air travel too. The Swedish company is making the point that 740 million people took domestic flights in the United States, amounting to billions of dollars in revenue for the likes of American Airlines and Southwest. Given that many popular routes - New York to Washington DC being one example - are fairly short, by the time you’ve factored in getting to the airport, clearing security and waiting around, you might end up being taking longer than if you drove. Or, as Volvo is suggesting might be the case in the future, longer than if you boarded an autonomous electric transportation capsule thing. The idea behind the 360c is that the company might one day be able to disrupt the multi-billion dollar airline industry by saving time and offering a “first-class” travel experience. The Level 5 autonomous vehicle could be used to replace longer flights too. 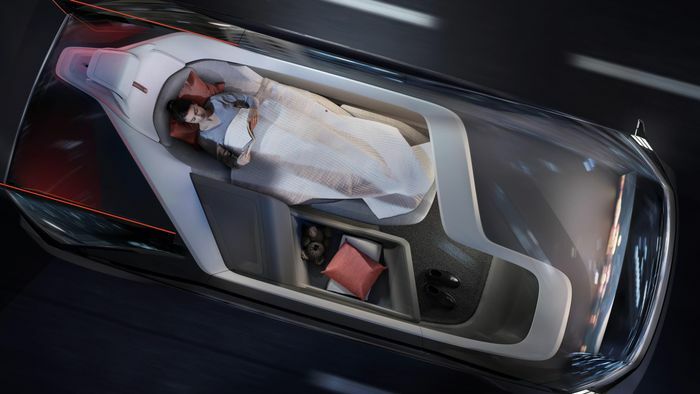 With no steering wheel, multiple interior layouts would be possible, including lie-flat beds. During the day, the 360c could be turned into a mobile office, Volvo suggests. This is all rather hypothetical right now, though - even if Level 5 autonomy even ends up being feasible in the real world, a production version of a vehicle like this would still be decades off. Think of the 360c more as Volvo thinking out loud.